I believe it would be fair to call Dark Rose (2003) a cult favorite. At least I remember it being very much loved around 2004-2005-ish, when I first discovered Makeupalley. And at the danger of making swiping generalizations, I am also going to call it, along with Donna Karan Chaos (1996) and YSL M7 (2002), one of the first "oud" scents we wore, before we really knew about ouds. The exact date is hard to pinpoint, but just a little later, Montale suddenly appeared on the scene, and then seemingly all we wore and talked about and lemmed were ouds. Then every brand jumped on the oudwagon. And then we also got to try Real Stuff, non-adapted for "western" liking, and then Montales etc. weren't good enough (oudy enough) anymore...So, anyway, this is my version of how the oudification of perfumanity went down. Dark Rose and its comrades* made us receptive to ouds, prepared the soil of our collective taste, so to say, like, um, Decabrists prepared the soil for Lenin. ...Coming back to Dark Rose... The fragrance has not lost its appeal for me, possibly because it's not really about oud. It is a rose blend in which oud (as well as patchouli, sandalwood and amber) was used to achieve a dry-smoky effect...to paint an image of smoldering and scorched petals...When I first apply the perfume, the rose is fresh, ripe, nectarous...but almost right away it catches on fire lit by saffron and agarwood and starts burning on my skin...the aroma that is released by that flame is incomparable to any other rose perfume I know...it is as if the petals were first caramelized and then torched. That vaguely gourmand quality of the rose is unexpected and appealing in such a dry, nocturnal, brooding composition. Never has a scent been so rightly named; Czech & Speake's creation rules the pantheon of Dark Roses. As an aside, since I am already on the subject of Cz&S and roses, the brand's other rendition of the flower, called simply, Rose (1988), while perhaps not as striking, is also a very elegant blend, which might delight those who don't like their roses sweet. Spiked by the verdant spiciness of geranium in the top notes, Rose softens in the heart, where its angles are smoothed by creamy ylang ylang. The dry, green leitmotif is, however, present throughout the development and even the rich, slightly earthy base retains a hint of geranium. *Some other fragrances that have been sneaking oud in our olfactory wardrobes long before it was all ouds, all the time are: Balenciaga Pour Homme (1990! ), Nina Ricci (!) Deci-Dela (1994), Gap Om (1996), Yves Rocher Nature Millenaire (2000) and Rykiel Woman (2003). Have you worn an oud way back then and haven't realised it? Do tell! 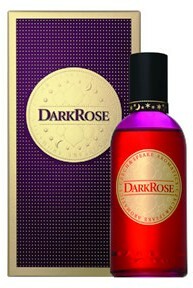 Dark Rose and Rose can be found at shoplondons.com, $130.00 and $125.00 for 100ml respectively. Yep. It was the gateway drug all right! Great article! Everything about this post is fab (title too). Thank you for sharing the run down of how Oud entered our perfume sytax. I need to try the fragrances too! I love that title, it is great! :) I have a sample of Czech and Speake somewhere, time to stop ignoring it. Gateway drug indeed! I LOVE Dark Rose. It's a great fragrance for the oud beginner. I just wish it lasted longer on my skin. All this talk of oud, oud, oud. I still have no idea what oud smells like, and haven't tried any oud perfumes. Suppose I should get my b*tt in gear!!! I love ouds, but I love woods anyway. I do wish someone would do a review of Chaos. I can't find one anywhere. let me know what you think, when you try it! Thank you! Will be looking forward to your CZ&S review! You know, I sprayed last night at 6, I still smell it vaguely, in my hair. I see it available "everywhere". Well, where CZ&S is sold. In a discussion of roses and C&S, somebody ought to mention No.88. Ah! Will have to try this again with oud on my mind. Can we add the original Corso Como to the introductory oud crowd? Can't remember when it came out. Wait...you mention Chaos...does Black Cashmere have oud? I mean, it has *wood*...oh, I need more tea. Montale's White Oud is how I became interested in ouds, and despite my preference for the "pure" stuff, White Oud will always hold a place in my heart. 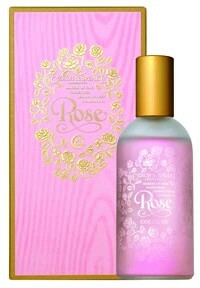 If Dark Rose has a similar luscious sultry-ness I might just have to click on the "add to cart" button! I've not yet found oud the ravishing note that others have. I'm certain it's worthy of attention. The spotlight on oud is similar to the spotlight on Egypt at the moment: it makes one wonder why it gets more attention than other important issues, particularly right now (two wars still going, nuclear threats in Iran and North Korea, peak oil nearly here, Gulf oil spill still wreaking environmental and now specifically human harm). Oud is really, REALLY interesting, but even more important is the loss of major fragrance components to regulation. Also, I get a strong feeling that oud is popular now the way rose, then iris became popular when a new, very cheap class of molecules designed to smell similar to the expensive ingredient became widely available. Thanks for the article. I don't feel so alone. Having made one too many complaints about fruity-florals, the perfume gods punish with oud and cedar. OK, I'm sorry. Now can we have some non-cloying ambers and a few bright citruses that don't have coconut, Please? I wore Gap Om all through high school, and I wore it on my first date with my now-husband. He told me later that he initially thought, "what the heck is she wearing," but had quickly grown to love it. I think he was more upset than I was when it was discontinued. Try as I might, I'm not a fan of oud, but I am a fan of Marina neologisms: "Oudification" follows the now widely adopted "Tauerade"! And not a single oud? White Oud Montale?